No one likes to cook on a dirty surface so what makes the grill any different? 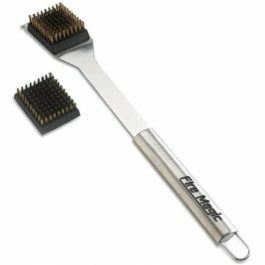 Every grill needs to be cleaned before or after every use and the best way to do that is to get yourself a grill brush. A grill brush is the perfect grilling accessory to keep your grates looking spectacular. You are not considered a grilling master unless you own at least one grill brush.